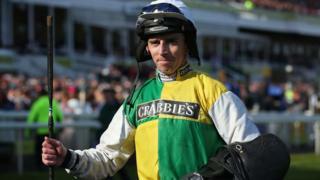 Jockey Leighton Aspell describes winning the Grand National, for the second consecutive year, as a "wonderful" feeling. Aspell took victory in the famous race on Many Clouds, holding off the challenge of Saint Are in second place, with Monbeg Dude and Alvarado completing the top four. Aspell, 38, becomes the first jockey since since Brian Fletcher on Red Rum in 1973 and 1974 to win back-to-back Nationals, while it was a third success for owner Trevor Hemmings, who has previously won with Hedgehunter and Ballabriggs.